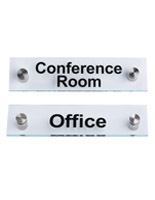 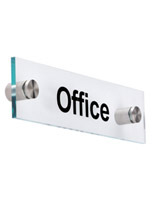 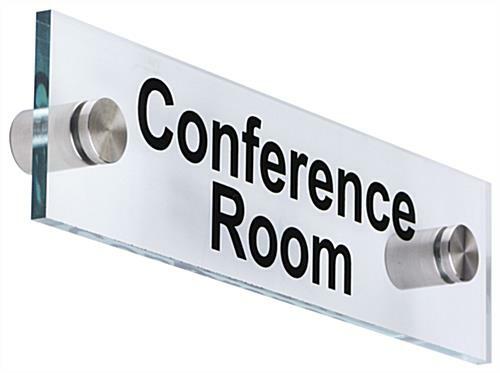 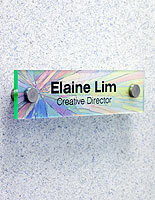 These "conference room" wall signs make great signage for office doors because of their modern, professional design. 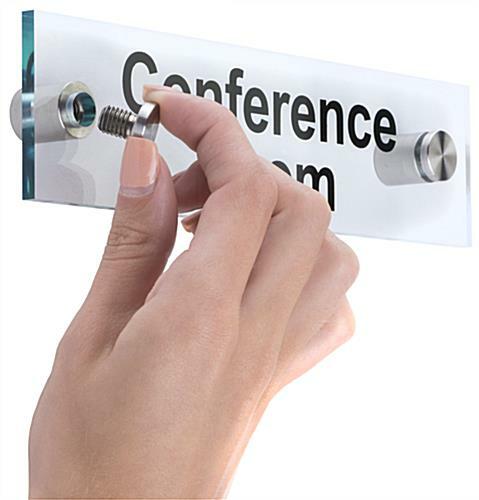 The displays features a clear acrylic panel with two silver standoffs that are made of durable steel. 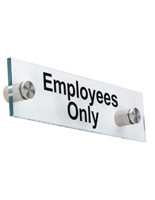 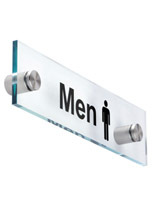 Each of the wall signs stand 0.75" away from the vertical surface it's mounted on. 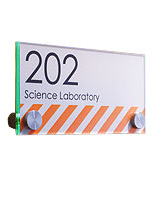 The clear acrylic plate measures 8" x 2" and features green edges. 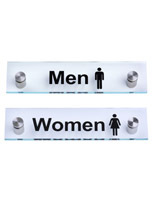 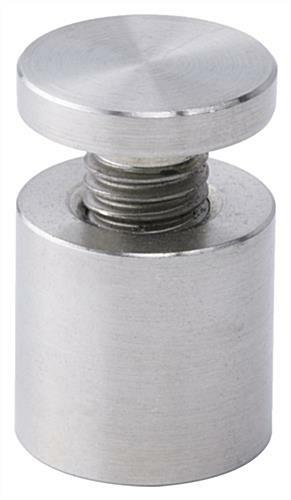 In addition, the door signs' silver spacers measure 1" in diameter and have a "through grip" design. 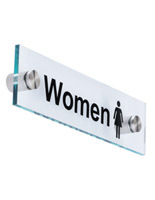 Signage like this are ideal for wayfinding with their bold black text.